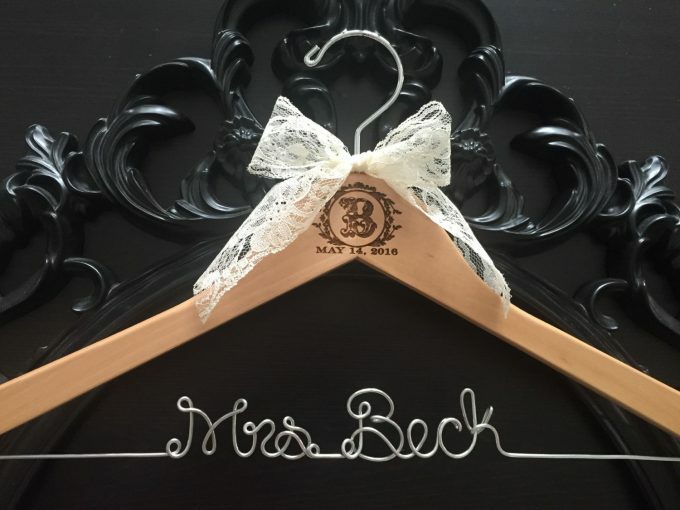 Home | Wedding Dress Hanger, Personalized! 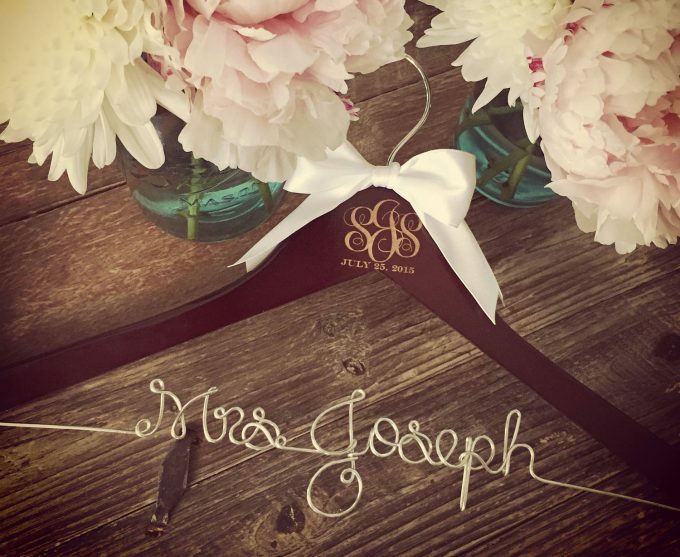 Wondering where to find a wedding dress hanger personalized with the bride’s new name? Or simply “Bride” in wire? We’ve found it! 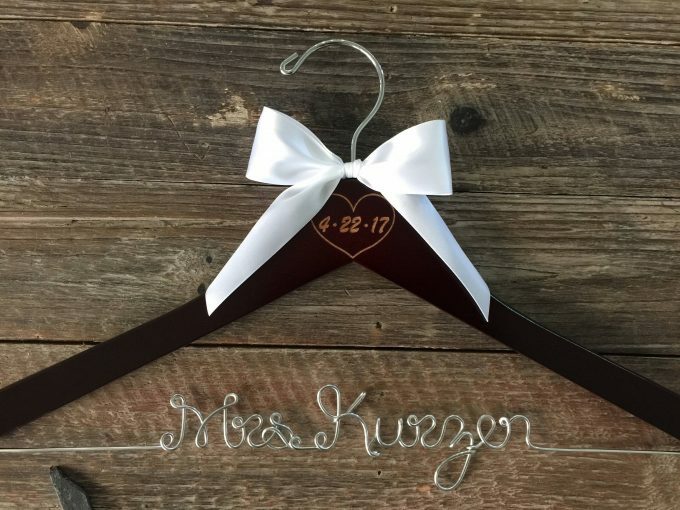 These wedding hangers on Etsy from Get Hung Up are one of our top picks because they offer more customization than other places. 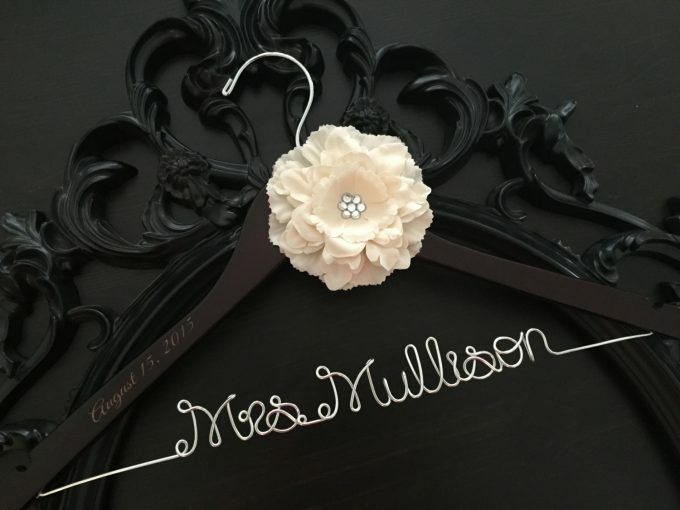 Erica Mallory, designer and owner of Get Hung Up, is experienced in everything related to personalized wedding dress hangers. 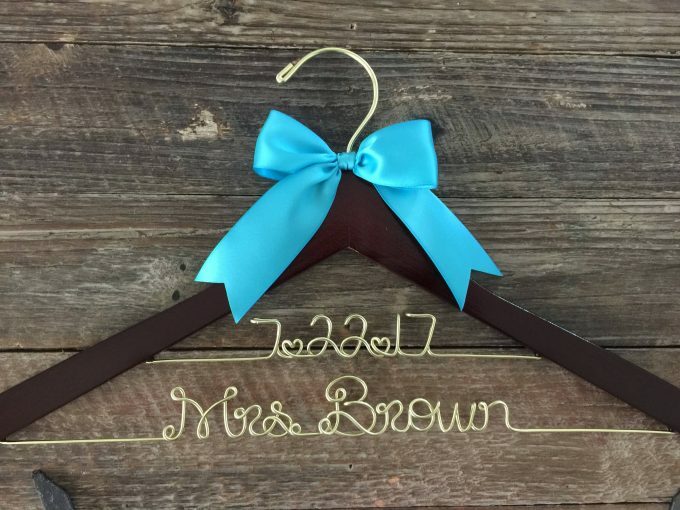 She’s been making them for years after creating one for her own wedding day. 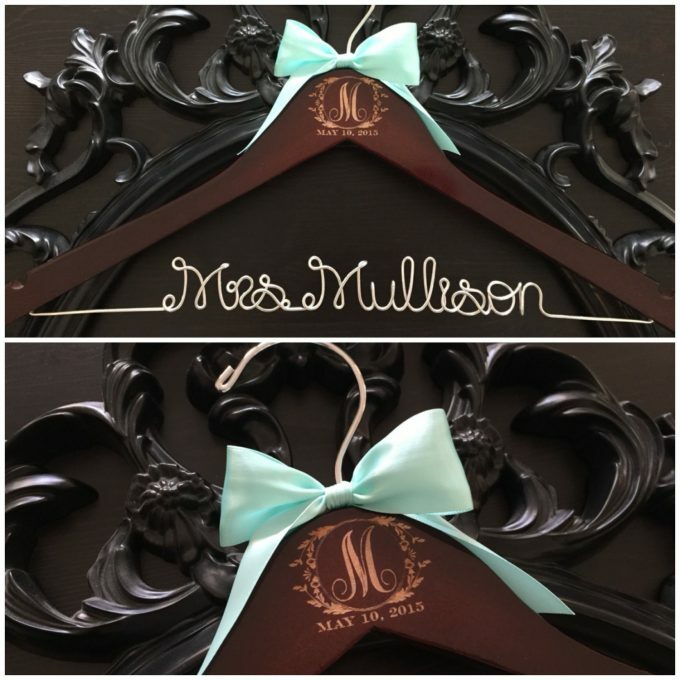 Ever since, she’s expanded her collection of custom dress hangers to include monograms, custom ribbon colors, themed hangers (including specific themes like Beauty and the Beast to more wide ranges, like classic, vintage, or rustic themes), hangers for bridesmaids, your groom, flower girl, and much more. 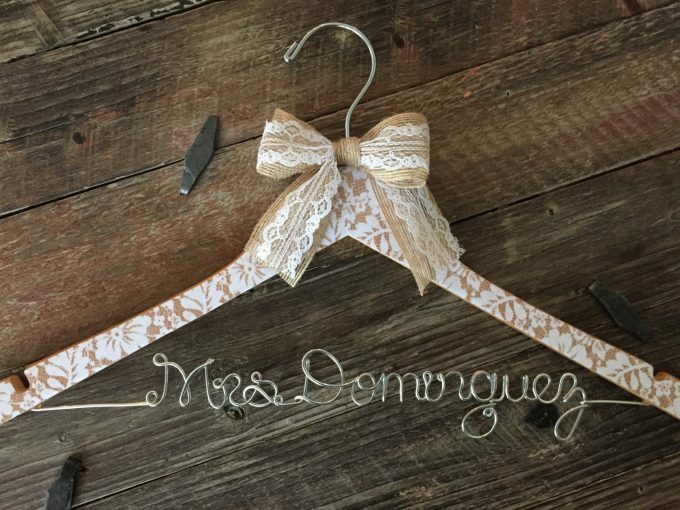 We especially love the lace wrapped dress hanger — it’s perfect for the bride! Wait until you see these beautiful picks we have to share today! You’ll love them. Enjoy! 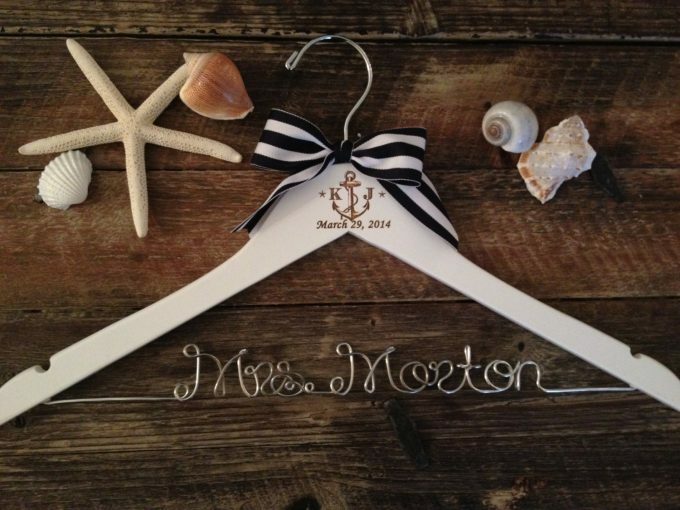 Take a look at these wedding dress hangers we’ve found. Which one is your favorite? 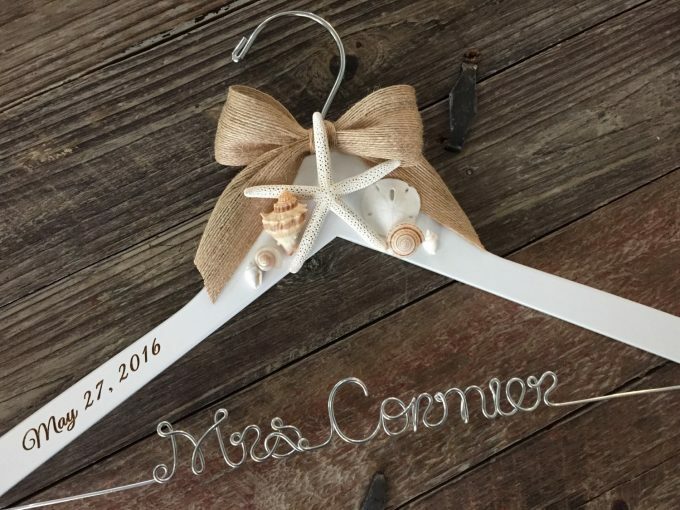 This type of wedding dress hanger is made with a wooden hanger and metal wire across the bottom. Don’t fall for cheap hangers sold at other places for a fraction of the cost. 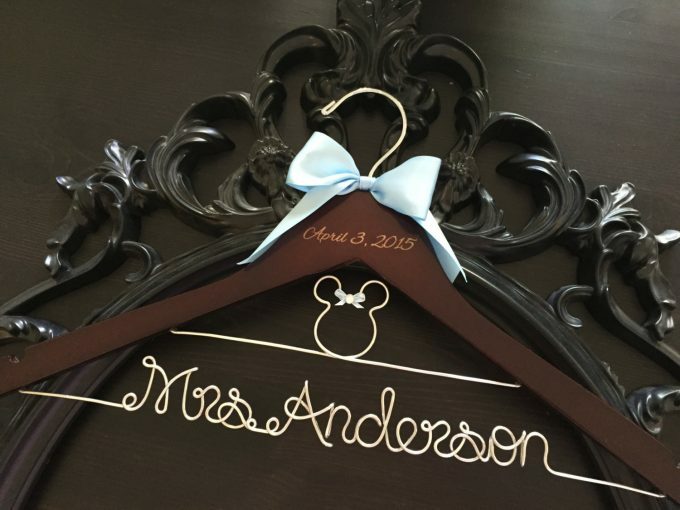 These hangers are the real deal and will look awesome in wedding photos. 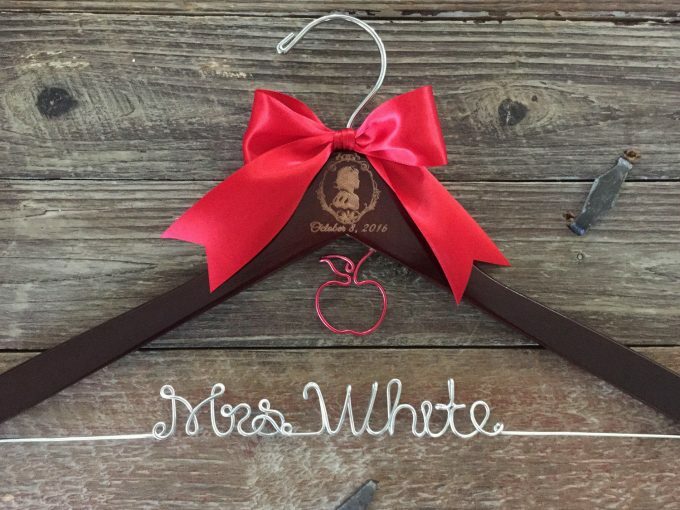 A friend of mine ordered a cheap wedding dress hanger personalized with her newly engaged sister’s name on it (elsewhere, obviously not this Etsy shop) and the wire was so flimsy it fell apart before she even gave it to her. Skip the hassle and trust custom-made hangers, all lovingly made by hand and built to last. 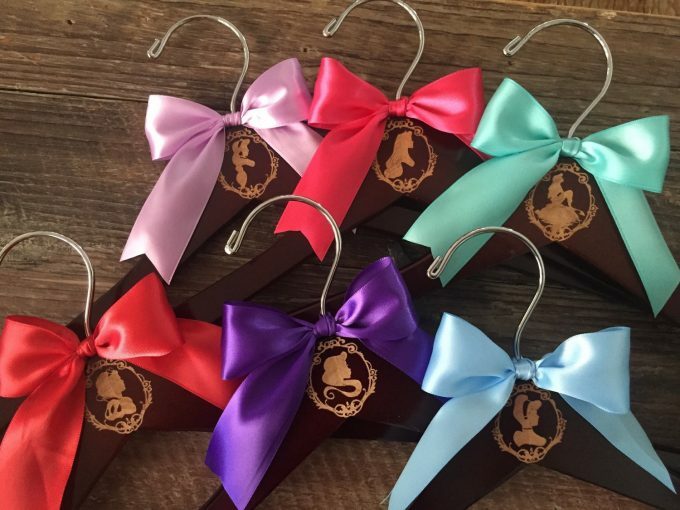 These hangers from Get Hung Up are a great option; Featured Artist, Erica, is super-easy to work with and her prices are so affordable! Get Hung Up is a Featured Artist in The Marketplace at Emmaline Bride. ♥ You’ll love working with her as much as we do! 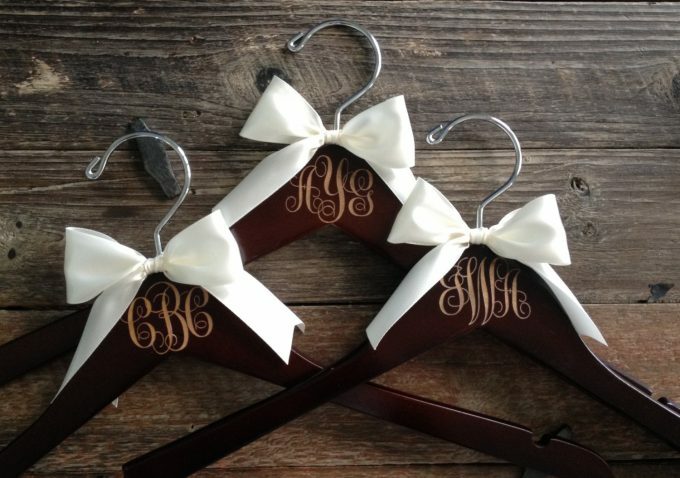 So many beautiful hangers, how will you choose just one? 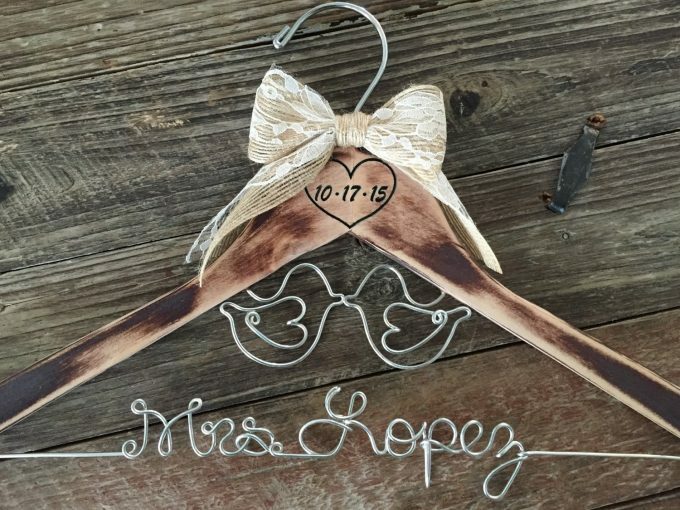 These make great non-registry wedding gifts, too. Also great as gifts for newly engaged couples. 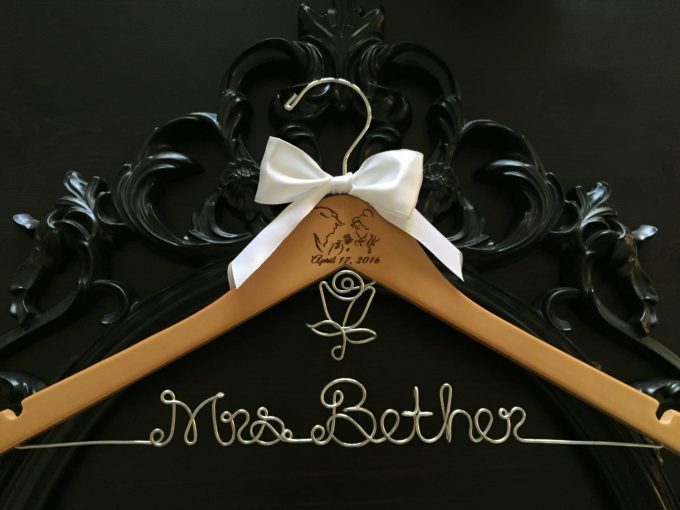 To get your wedding dress hanger personalized with your new name (or a friend’s! ), check out the shop.